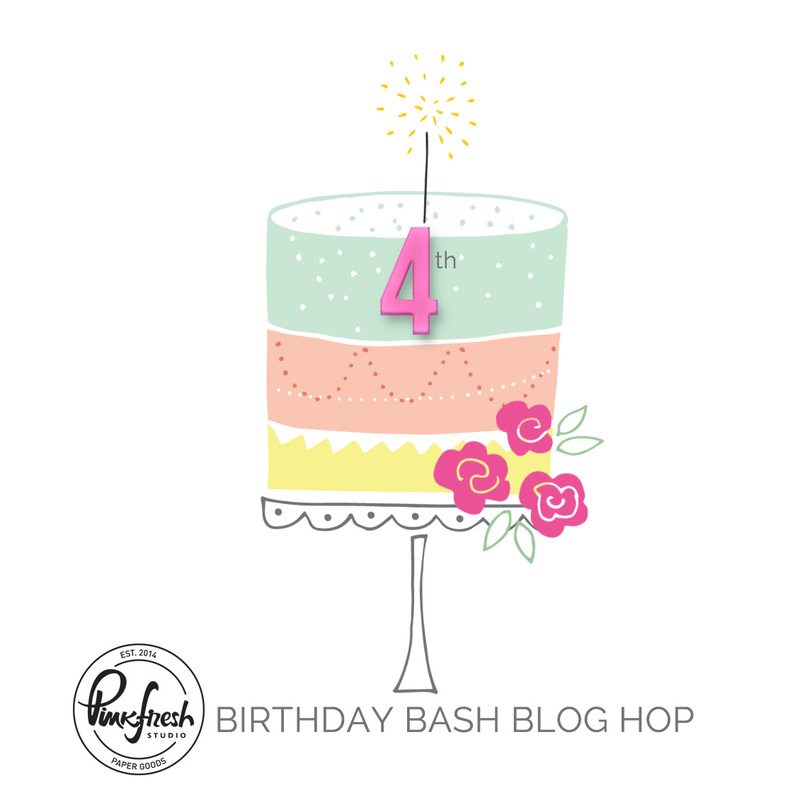 I am thrilled to participate in Pinkfresh Studio’s 4th Birthday Blog Hop! 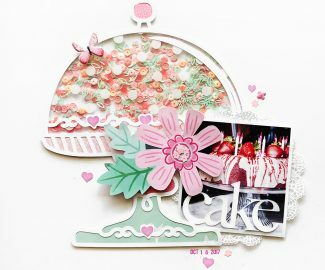 I have a layout to share with you and I get to giveaway a $40 prize to the Pinkfresh Studio store!! I love the colors in The Mix 2 collection so I chose that for my layout. This photo of Mr. Whiskers had the perfect colors in it for a bright bold page! I cut some white circles on my silhouette the same sizes as the cardstock stickers and added some tracing paper flowers I had cut on my big shot. I finished the page off with gorgeous yellow puffy hearts. You get so many on the sheet!! The Mix 2 has 8 colors of these mini puffy alpha stickers! I also love that they fit perfectly into many of the labels! I love that Pinkfresh papers have subtle patterns on the bsides. I generally like to use a white background and these soft subtle patterns get me using something different than white! 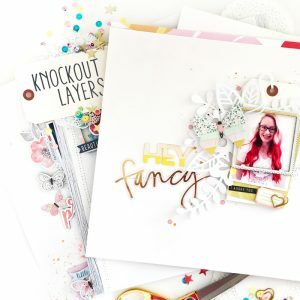 I have a super fun giveaway of $40 worth of Pinkfresh Studio Scrapbook Products!! Leave a comment below to enter the giveaway! Entry closes on Monday, April 9th a t 6am PST. Winners will be posted on the Pinkfresh Blog on Monday April, 9th at 12:30pm PST. 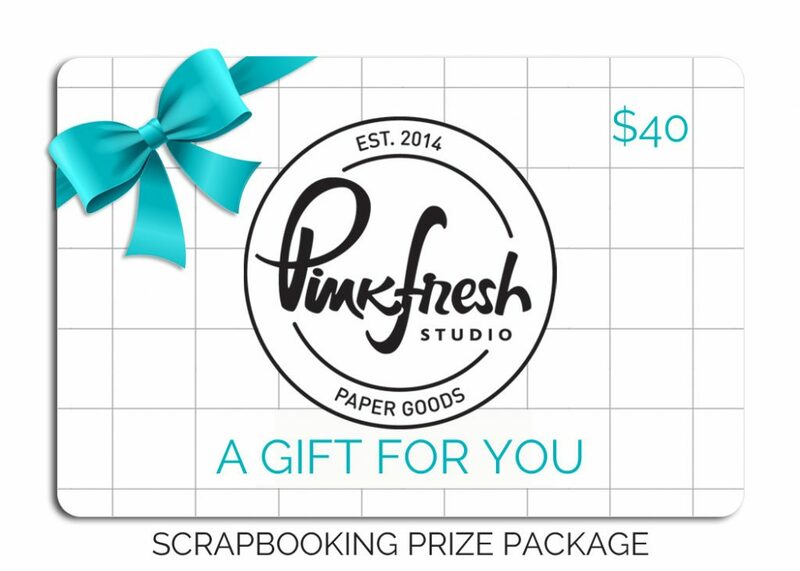 Please check the Pinkfresh Studio blog to see if you are a winner! For another chance to win a $100 gift certificate to the Pinkfresh Studio store, leave a comment on the Pinkfresh Studio Birthday blog post. Pinkfresh Studio will give one lucky winner a $100 Gift Card to the Pinkfresh Store on their Instagram Story. All you have to do is repost their Birthday Bash story. A winner will be selected within 24 hours. Pinkfresh Studio will have a Stamp and Die bundle giveaway on their Instagram feed as well! 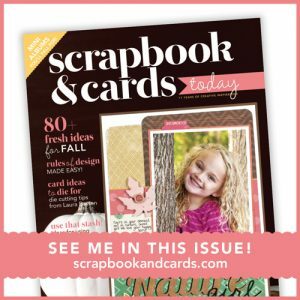 Be sure to visit the stops on the blog hop and leave a comment to enter! awwwwwww….I LOVE it! The pops of green are so much fun! Love the subtle background. It lets the focus stay on that adorable kitty. Mr. Whiskers is as adorable as your layout!! So sweet!! Adorable layout! the white background, circles, puffy hearts … just purrfect! Firstly, I love that photo of your funny cat! You did such a great job framing your photo without making it too busy. I love this layout! Cute layout. Love that subtle background with the white. Love your layout! Your cat is so cute. Love the colors too. Thanks for sharing and have a wonderful week. Love all your texture and colours you used. Wow, Lorilei this layout so nice and your cat is like a model. Nice to see it! Adorable layout. It really showcases your cat. Cat lover here so I adore your layout, that pic is truly priceless! Loved it. The pop of green and yellow hearts is so much fun. Thank you for sharing. 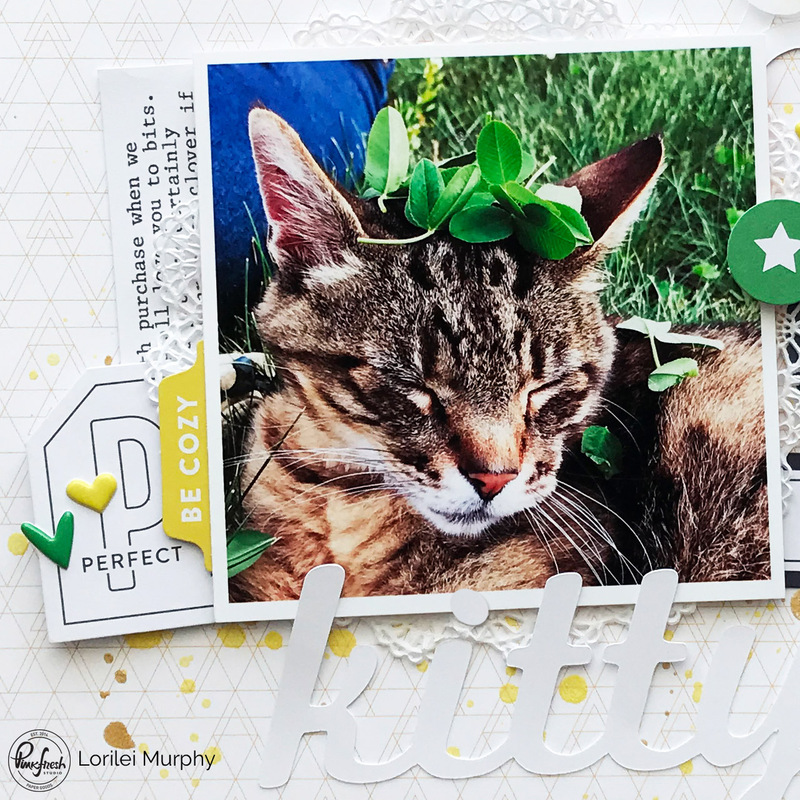 Such a great layout with such a perfect subject…your kitty! Reminds me of one of my kitties so sadly passed almost 10 years ago this year. Thanks for sharing your page and thanks for the chance to win. Aw, such a fun page with your kitty. Lovely layout! I love Pinkfresh! I love the bright green! And how fun to use a kitty!! OMG, that’s such a sweet photo! Darling layout, too. Really nice, fun page. You had me at the cat. Awe! How adorable. Love it! Lovely layout! Your kitty looks so sweet! What a purr-fect layout. Awesome job. Thanks for sharing and the chance to win. Amazing layout and wonderful photo! Fantastic depth and dimension on your page. What a lovely lay out! Awwww……cute kitty and great layout! I love cuts. Great LO. What an adorable furkid, and layout!!! You used some super cute embellishments! Your sweet kitty looks a lot like mine. Nice layout! great pic! and great lo! Love the pop of color, such a fun layout! Gorgeous layout with a Purrfect picture. Love it! This is such a beautiful layout. I love how you layered white on white with pops of color. Great layout – love all the bits and pieces you added. Awesome color combo! This is a very pretty layout. Love the layers of the circles and the flowers. Great layout – love your black and white with a splash of color! What an adorable cat! Love your white flowers! Lorilei, you created such a beautiful lay out for Mr. Whiskers! I love the colors and all the different embellishments…so, so creative! Your kitty is absolutely precious! This layout does him/her proud. Clean and classic! Simply lovely. And your fur-friend is so cute! What a lucky kitty to star in such a fabulous page! I love the clover on the kitty’s head. Mr. Whiskers is adorable! 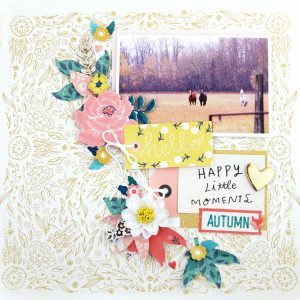 Lots of fun details on your delightful page! Love your pretty cat and the eye-catching green elements in your design. TFS. What a fun page! I love the white background with the pops of color. Que linda propuesta y que hermoso gatito amo a los gatos y me encantan los colores usados muchas gracias por compartir su diseño ! Love your layout, the colors are beautiful. The kitty is absolutely adorable! Beautiful layout! I love the pops of green and yellow! Precious layout with such a sweet kitty cat! Love it! First of all that cat! Oh my goodness so cute! 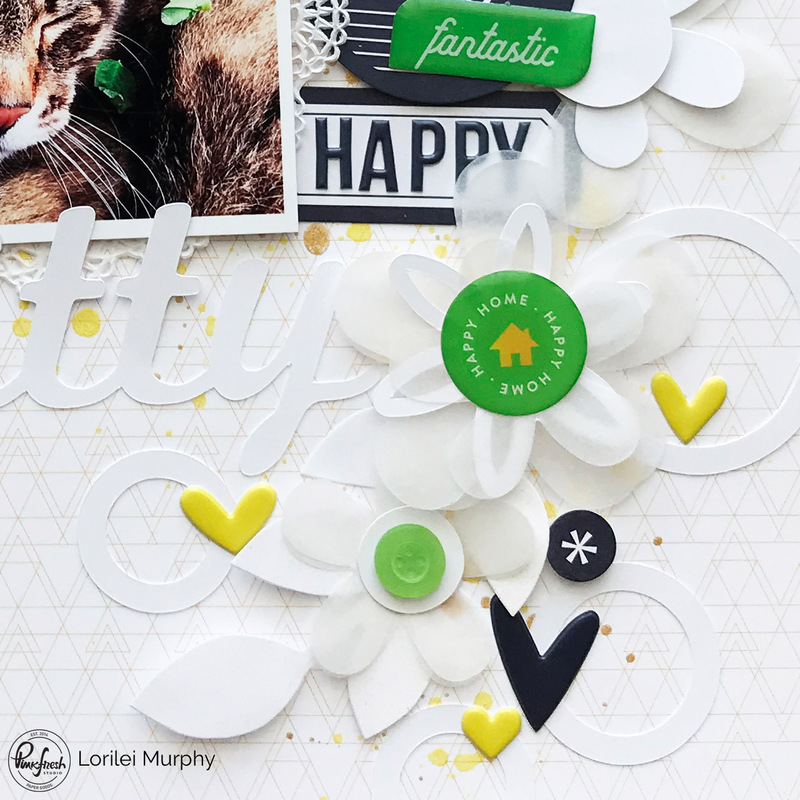 Love your page with the pops of green! Thanks for sharing. Beautiful! I love the vellum! Thanks for the chance and happy bday PFS! Great layout!! I have some kitty lovers as close friends and this would make an awesome gift!! Love the colour scheme. Had an issue seeing the word kitty not sure if that is just the picture and the lighting. Would love to see Kitty stand out a little more maybe outlined in black. Wow! Gorgeous layout!!! Colors are amazing!!! Love the pops of green on this, refreshing and Spring-y if that’s a word. Love your style!! Such a sweet and happy layout page! Love your use of colors. Beautiful work! Awwww..what a gorgeous layout! Looks so rich with all the white space and pops of colours. Purrfectly awesome. oh I like that layout! Awesome job! Mr Whiskers is an awesome subject for this fun layout. What a pretty scrapbook page! I love the touches of color on the white background. The picture of Mr. Whiskers is just precious! I love it! I love the tone on tone white background and title! I love the fresh green colors in he Pinkfresh collections; makes the picture pop! Thanks for sharing!!!! Wonderful layout! I really love the movement and the texture and dimension in the vertical element! You can never go wrong with a cat in a layout! Love Mr Whiskers! Who don’t love a pet photo?!! They are such important parts of our family. 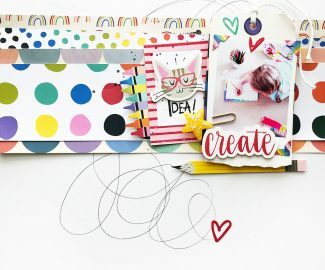 Fabulous page – love the bold colors and embellishments. What a beautiful layout you’ve made! I love the limited color palette that works perfectly with the greens and yellows in your photo. Also, I’m always a fan of layered vellum flowers; it’s such a delicate and gorgeous look. Thanks so much for sharing with us! Sweet kitty! I love the layout! I so love your layering to add pops of fun and the subtle color of green here and there, it’s so fantastic! Thank you. Lovely layout with such a sweet kitty! So cute! Awwww What a sweet kitty Lorilei and a fabulous page. Love the pop of colour with the yellow and green. So awesome, well done! Such a fresh looking layout! What a gorgeous photo and a lovely layout to showcase it. Thanks for sharing. Fab layout. Love the green and yellow colour palette. 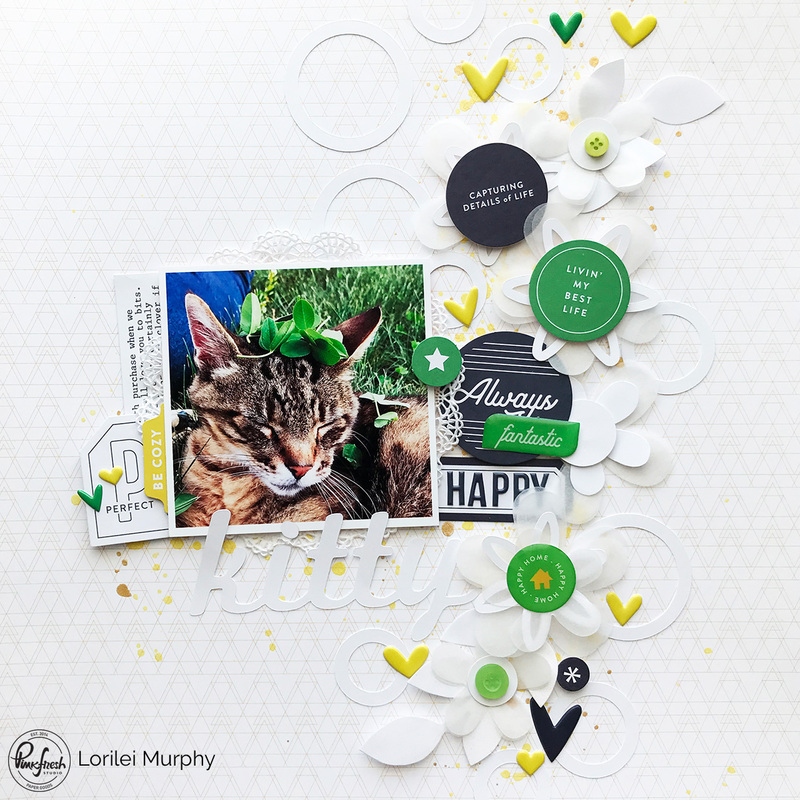 Love that you filled this layout with the perfect accents for this delightful feline! Hello from Insta! I love this layout! Super cute kitty and love the pops of color! Awww what a darling kitty!!!! Great job on this page! What an adorable creation !! So cute!! And the yellow puffy hearts just finish it off nicely! !